Wandering Jew Purple is covered with fleshy, oval leaves that are attached to the stem. 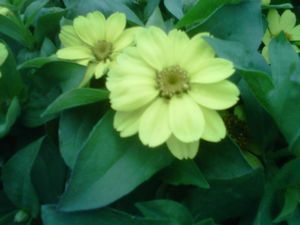 The leaves are blue-green with two silver stripes running throughout on top and a deep purple on the underside. Wandering Jew, commonly reffered to as 'Inch Plant', is native to Mexico. Wandering Jew is an easy-to-grow trailing plant that requires very little work to maintain. To keep your Wandering Jew plant looking full and healthy, pinch back when the stems get to long! 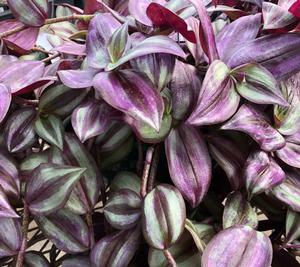 Wandering Jew plants require bright, indirect sunlight. Pinching back the vines helps create fullness in the plant. Keep your Wandering Jew plant moist but not soggy to thrive well! As a houseplant, Wandering Jew grows best in hanging baskets or pots near a window. 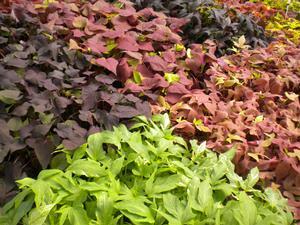 Wandering Jew works great as a groundcover or bedding plant outdoors!